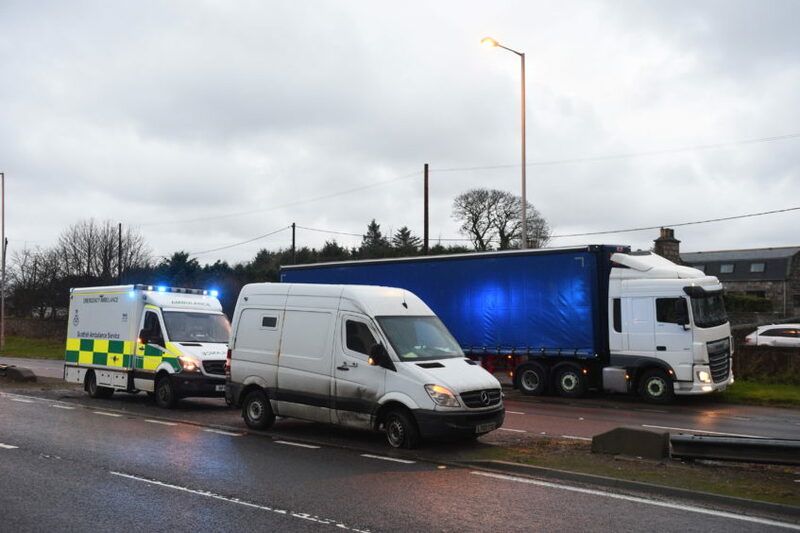 The incident, involving an articulate lorry, a van and a car, happened between Newtonhill and Portlethen near the Lairhillock junction at 7.35am this morning. The road is not blocked however northbound traffic has been affected due to the positioning of the lorry. A police spokesman said: “The collision involving three-vehicles happened on the A90 this morning. Motorists are asked to approach with caution. Police are also warning to traffic delays in Aberdeen due to a traffic light failure. The lights on Wellington Road at the Tesco junction are currently out of use. The council have been advised.